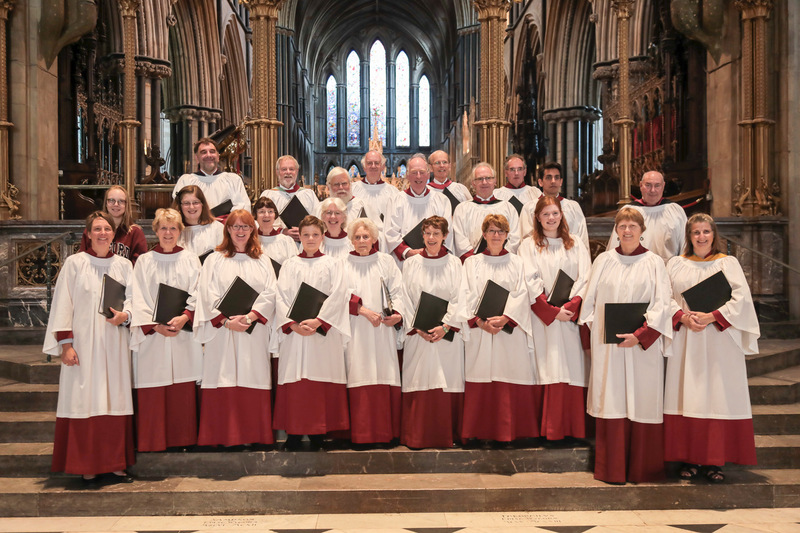 Holy Trinity Church Choir has just returned from a second successful trip to Worcester Cathedral, where our Musical Director, Mark Charles was a lay clerk for 10 years. The choir sang five choral Evensongs and all five were directed by Mark Charles or Mark Jones, Assistant Musical Director, both of whom also played the cathedral organ. The choir were joined by an old friend, former Director of Music here at HTC, Keith Dale, who sang with us prior to taking up his new appointment at Hexham Abbey. Canon Alex also flew in to join the choir for 2 of the services. All in all, we numbered about 26, including people joining us from the chaplaincies in Lausanne and Zurich. Many of us took advantage of the excellent accommodation offered by the University of Worcester – walking distance from the Cathedral and a good breakfast as well. The music we sang was typical of an Anglican Cathedral and featured music by 2 local composers: Thomas Tompkins (Organist at Worcester from 1596 to 1649), and Edward Elgar (born nearby and with his own memorial window in the Cathedral). The choir enjoyed a tour of the Cathedral Library, which houses 300 medieval manuscripts ranging from the 10th to the 15th Century, along with over 20,000 archive documents. For those who have not visited the beautiful city of Worcester, Worcester Cathedral has fine position overlooking the River Severn. It houses the tombs of King John (of Magna Carta fame), Prince Arthur (elder brother of Henry VIII) and the prime minister Stanley Baldwin. The Cathedral is a very musical place, being the host this year’s annual Three Choirs Festival. This is probably the world’s oldest continuously running choral music festival, having started in approximately 1719, and rotates between the cities of Worcester, Hereford and Gloucester.